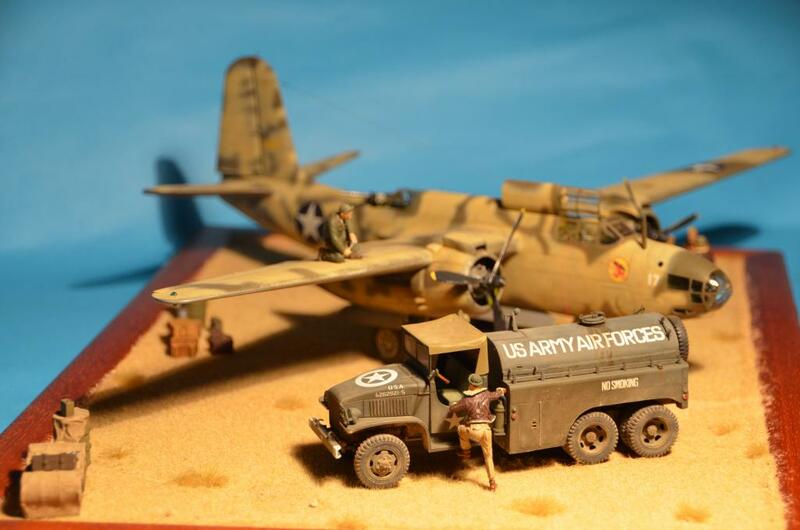 For my first article I chose my desert diorama, which was presented also in Moson model show in Hungary in april 2014. It was noticed by the editor of iModeler.com who gave the invitation to post the photos here. Thank you Martin! The kit is the classic AMT/Ertl, reisued by Italery maybe a decade ago. It’s a fairly nice kit, but over simplified in some points (cockpit, engines, etc.). I enchanted it with some aftermarket stuff: Lonestar cockpit, Airwaves etched detailing set, Quickboost engines, Vector control surfaces, True details wheels and some scratch build. The decals for squadron insignia were home made. 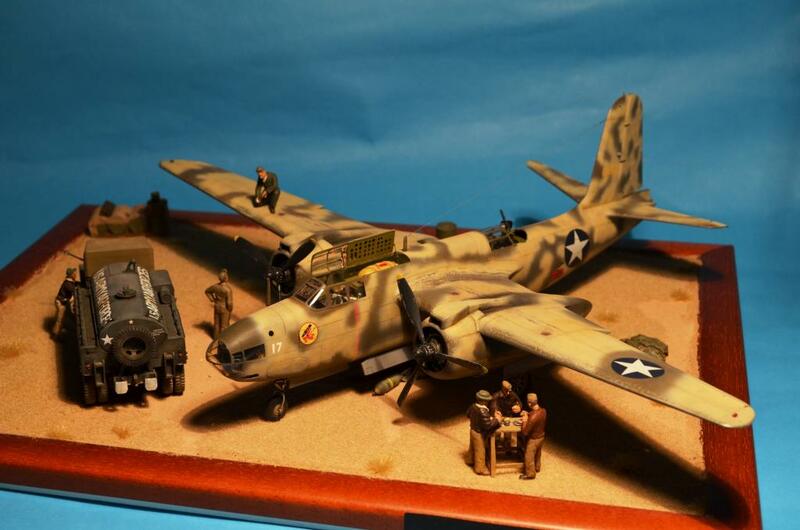 The plane is a more or less neglected tipe, rarely seen on shows, at least in 1/48. 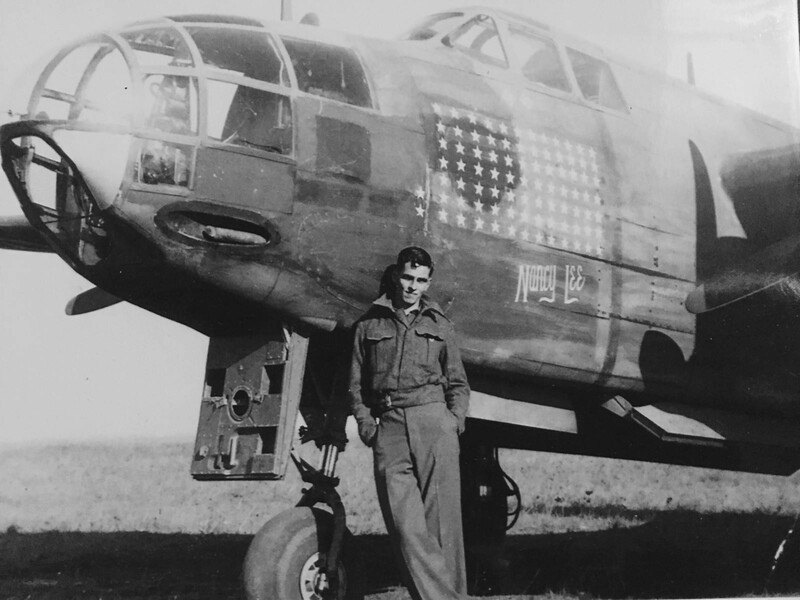 I choose the intriguing camo scheme, seen on famous LIFE photographs of 47th bomb group, made in Algeria in the spring of 1943 (see two attached photos). The colour was some sort of tan, randomly sprayed (maybe hand brushed) over standard OD in the field. 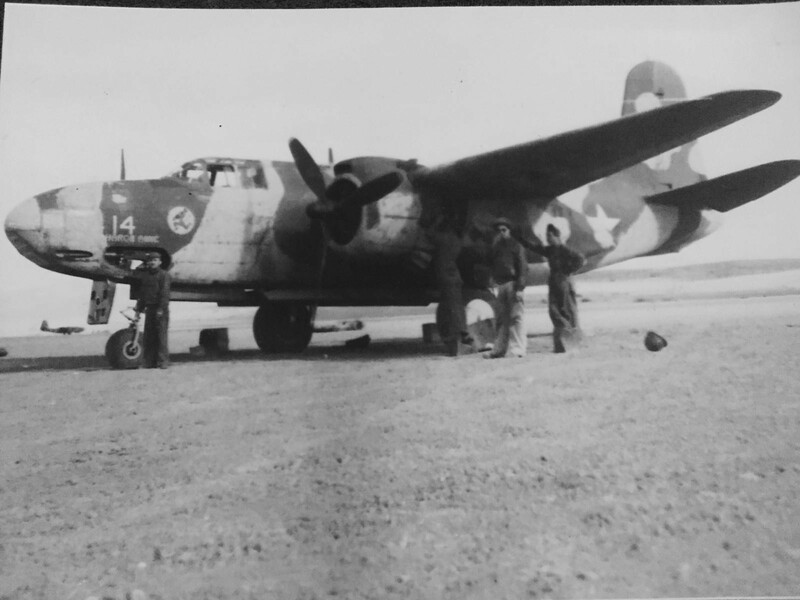 But it was most likely not the desert pink colour, sprayed on American planes destined for Mediterranean theatre (B-25, P-40 etc). At least it is very unlikely that stocks of that paint would have been shiped across the Atlantic and to the front line group in the heat of battle in North Africa. So it was something found on the spot, maybe RAF stocks. Unfortunately the LIFE photos are not in colour so the debate about that distinct paint is open. 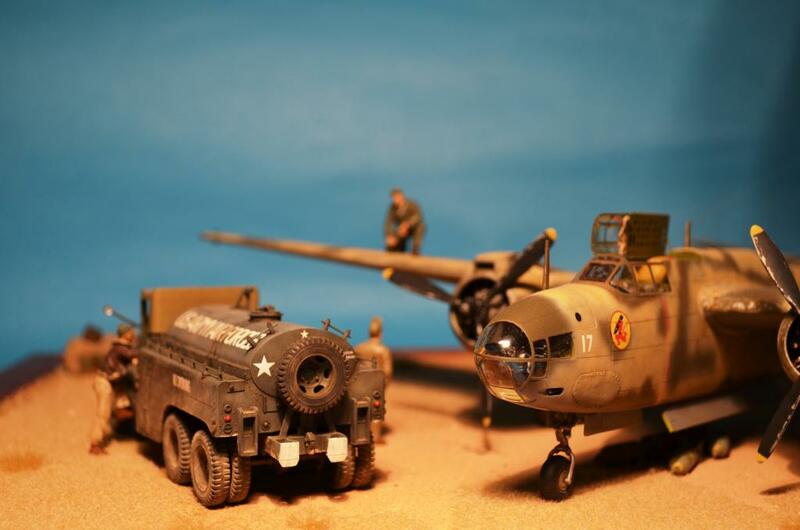 The diorama includes the Tamyia truck converted with Gaso.line resin gas tank. The figures are from Pend Oreille Models (guys eating – found by chance, totaly scarce), ICM mechanics and DES KIT driver. Very nicely finished and photographed, Miha….glad you were prodded into posting your work – we hope you’ll continue to do so – good work. Great scene there, excellently done. Do like that airplane in that scheme, I remember the old Revell 1/72 boxart sold me that one way back in the ’60’s. Welcome to the best modeling website. Welcome aboard Miha! I am glad you posted your diorama. It lays out a nice scene with different action happening on both sides of the aircraft. Please keep posting! Very nice work. I have always thought, from looking at the photos, that they were hand-painted. Hard to believe there would have been any sprayguns in North Africa. Your work is most impressive. What a great diorama Miha. The models are fantastic. I am very happy you got the invite to post your fine work. An awesome model. Well done! Welcome to a great site!!!! Miha prijatelj dobrodošel na ta forum.! Miha friend, welcome to this forum.! Michael, nicely done. Figures really add to the scene. PS naturally meant Miha not Michael – iPad auto filled name! Excellent. 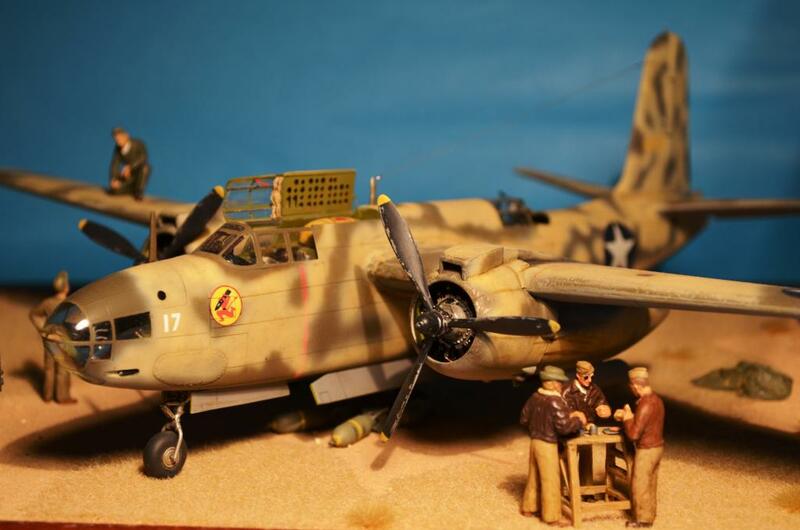 Great models and composition of your diorama. Thanks for all the comments guys! It’s really a grand way to get started here. 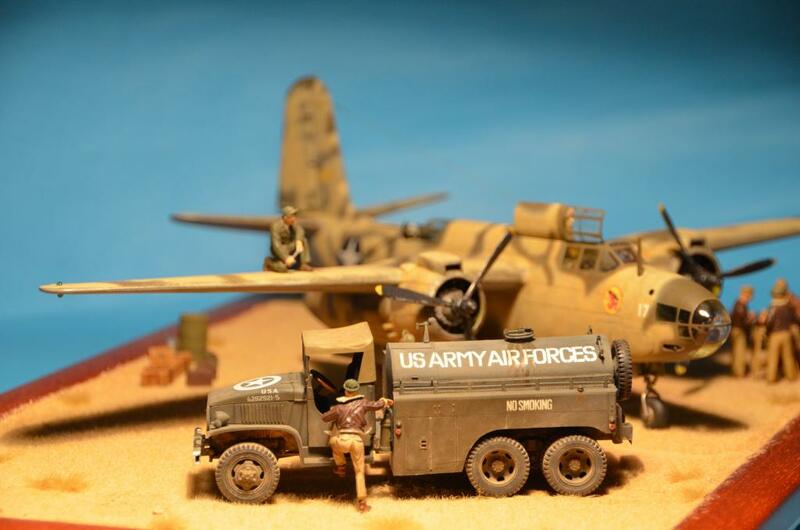 Great looking scene, Miha, I especially like the refuelling truck, very nicely done, and welcome to imodeler, I’m sure you will enjoy it. Marvelous work, thanks for sharing, and the old photos too. A nicely thought out and executed diorama Miha. nice weathering, nice figure painting, nice composition… very nice indeed. great work! Welcome Miha! 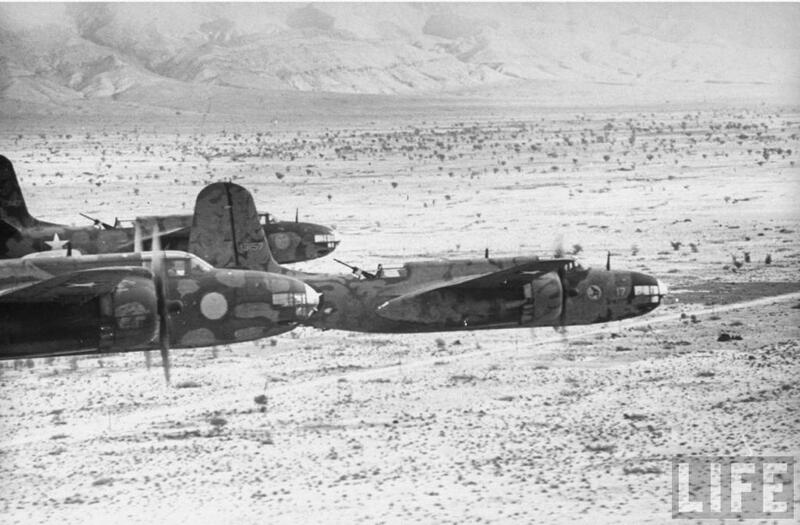 Very nice A-20. I have a theory on this scheme. 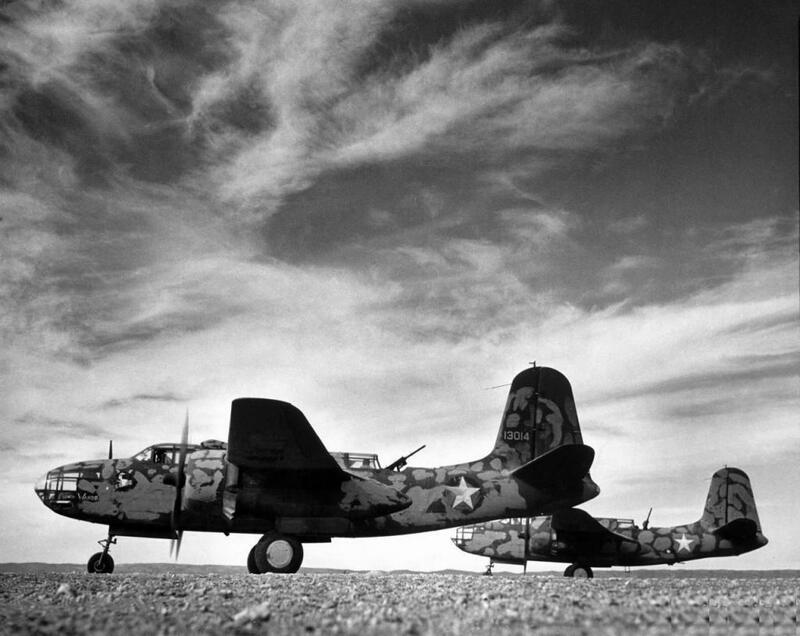 Between the wars, the Army Air Corps (later Army Air Forces) experimented with water based temporary paint fr war games, manouvers, and camo trials. It looks to me like at some point early on during this deployment, that they got out the waterbased paint to supplement the basic O.D. Volume 1 of Dana Bells Air Force Colors book gives some hints, the tan may be an Army Quartermaster paint, a listing is in the back of the book, with FSN best guesses. Bernard, thanks for the interesting hint. I will try to check about that. Hi Miha. 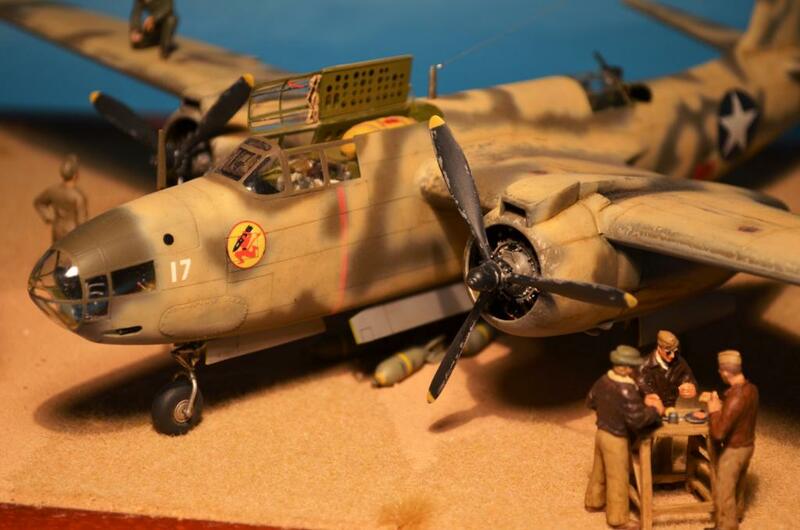 A great model & a superb diorama giving lots of interest overall. I hope you post lots more like this. Good work Miha. Really impressive diorama and model painting. The pictures are first class too. Keep up the good work. Your diorama is great. You have great skills.